Ethereum Gold (CURRENCY:ETG) traded 32.3% lower against the dollar during the 24-hour period ending at 11:00 AM ET on March 8th. Ethereum Gold has a market cap of $25,744.00 and $278.00 worth of Ethereum Gold was traded on exchanges in the last day. 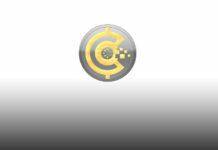 One Ethereum Gold token can now be bought for $0.0021 or 0.00000054 BTC on popular exchanges including Stocks.Exchange and CoinExchange. During the last seven days, Ethereum Gold has traded 44.9% lower against the dollar. XRP (XRP) traded 1.1% lower against the dollar and now trades at $0.31 or 0.00007949 BTC. Tether (USDT) traded 0.1% lower against the dollar and now trades at $1.01 or 0.00025640 BTC. Binance Coin (BNB) traded 7% lower against the dollar and now trades at $14.15 or 0.00359937 BTC. Stellar (XLM) traded 2.8% higher against the dollar and now trades at $0.0881 or 0.00002239 BTC. TRON (TRX) traded down 1.7% against the dollar and now trades at $0.0229 or 0.00000581 BTC. Bitcoin SV (BSV) traded up 1.1% against the dollar and now trades at $67.47 or 0.01715757 BTC. 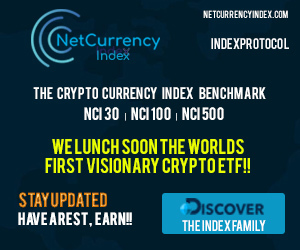 NEO (NEO) traded up 2.2% against the dollar and now trades at $9.09 or 0.00231057 BTC. VeChain (VET) traded down 0.1% against the dollar and now trades at $0.0045 or 0.00000115 BTC. Basic Attention Token (BAT) traded 9% higher against the dollar and now trades at $0.20 or 0.00004997 BTC. TrueUSD (TUSD) traded 0% higher against the dollar and now trades at $1.01 or 0.00025782 BTC. Ethereum Gold launched on October 13th, 2017. Ethereum Gold’s total supply is 24,000,000 tokens and its circulating supply is 12,000,000 tokens. The official website for Ethereum Gold is www.ethereumgold.info. Ethereum Gold’s official message board is medium.com/@amandaETG. The Reddit community for Ethereum Gold is /r/ethereum and the currency’s Github account can be viewed here. 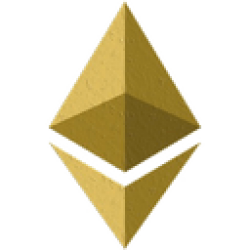 Ethereum Gold’s official Twitter account is @ethereumgoldetg and its Facebook page is accessible here. Ethereum Gold can be traded on these cryptocurrency exchanges: CoinExchange and Stocks.Exchange. It is usually not possible to buy alternative cryptocurrencies such as Ethereum Gold directly using U.S. dollars. Investors seeking to acquire Ethereum Gold should first buy Bitcoin or Ethereum using an exchange that deals in U.S. dollars such as Coinbase, Gemini or Changelly. Investors can then use their newly-acquired Bitcoin or Ethereum to buy Ethereum Gold using one of the aforementioned exchanges.